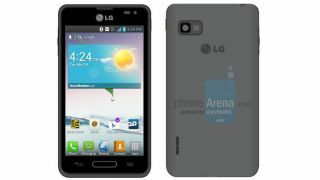 It looks like LG's latest range of smartphones is going to become a trio as details leak on the LG Optimus F3. A photo of the Optimus F3 handset appeared alongside a smattering of specs on the @evleaks Twitter account - a source which is often on the money when it comes to these sort of things. According to the report the LG Optimus F3 will sport a 4.0-inch WVGA display, dual-core processor, Android Jelly Bean and a sizable 2,460mAh battery. There's nothing particularly ground breaking there apart from that battery, but the real selling point is the fact the F3 comes LTE enabled, allowing users to access super fast data speeds on what is being billed as "aggressively priced" contracts. If the Optimus F3 has begun to whet your appetite then hold on a minute, put down that fork, as it looks like LG is lining it up for the Australian market in the next few weeks, with no word on global availability. We've contacted LG regarding the Optimus F3 and we'll update this article if we hear anything.